REDWOOD CITY, CA (July 19, 2017) —A majority of companies employ the use of external peer groups as a point of reference for making executive pay decisions. According to a new report from Equilar, Peer Group Composition and Benchmarking, featuring commentary from Compensation Advisory Partners (CAP), over 92% of Equilar 500 companies disclosed a peer group for the purposes of benchmarking compensation in their most recent proxy statements. 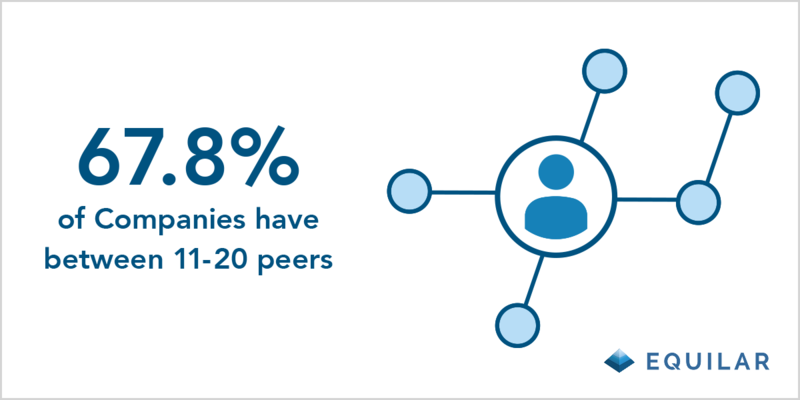 The report found that approximately two-thirds of Equilar 500 companies had peer groups that consisted of 11 to 20 companies. The study also found that 95% of the companies disclosed at least one peer group, while 4.3% had two and less than 1% listed three peer groups in their most recent proxy statements. In addition, the report found that boards most commonly favored industry as criteria for identifying peer companies. The study reported that 442 companies in the Equilar 500 named similarities in industries as a deciding factor in peer assessment. In addition to industry, boards also commonly looked to financial metrics such as revenue and market cap as well as executive talent as criteria for assessing peers. 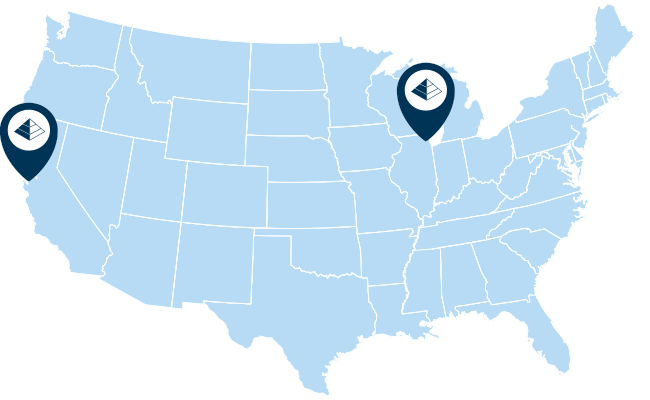 Request a copy of the full report here or by contacting Equilar directly. For more details on this report, please join Equilar and Compensation Advisory Partners for a webinar on August 3. Visit www.equilar.com/webinars to register and learn more about this and other events. 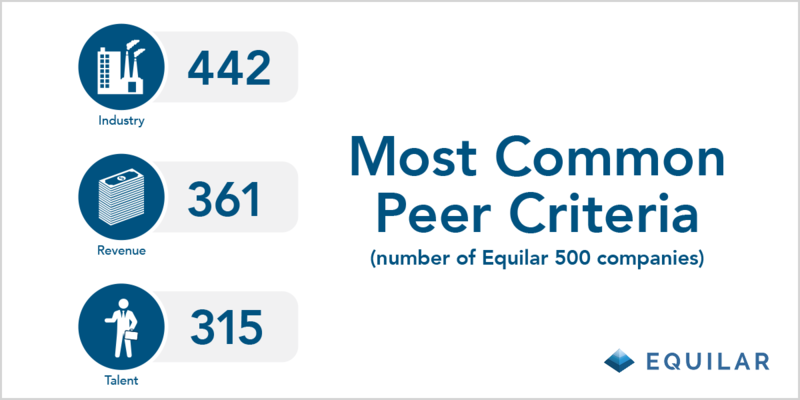 Peer Group Composition and Benchmarking, an Equilar publication, examines proxy-disclosed compensation peer groups at Equilar 500 companies, and tracks this data for those companies over the last five fiscal years. The Equilar 500 tracks the 500 largest, by reported revenue, U.S.-headquartered companies trading on one of the major U.S. stock exchanges (NYSE, Nasdaq or NYSE MKT), adjusted to approximate the industry sector mix of similar large-cap indices. Companies that filed a proxy statement (DEF 14A) by May 1, 2017 were included in the fiscal 2016 year. Previous years were defined similarly.